This is the moment when the police officer sprayed me in the face for no reason. At a Martin Luther King Day protests this year I was assaulted by a Seattle police officer who pepper sprayed me in the face as I was on the phone with my mom, arranging plans for her to pick me up and take me to my son’s two-year-old birthday party. That day was deeply painful, and not only because of the burning in my ears, nostrils, and swollen eyes. What hurt the most was fear that I brought to my two sons who were deeply troubled watching me writhe in pain and pour milk on face to try to sooth the burning. While I thought the worst of the emotional trauma was behind me, the news I received last week deeply injured me for a second time. Here I am at my son’s two-year-old birthday party, shortly after having been pepper-sprayed by a police officer, trying to reduce the burning and swelling by pouring milk onto my face. We finally found out that the officer who pepper sprayed me was Sandra Delafuente. An investigation by authorities sustained findings of unauthorized use of force and improper use of pepper spray against me and recommended that the officer be suspended for one day. But what really burned me is that the Chief of the Seattle Police, Kathleen O’Toole, agreed with the misconduct findings, but intervened to down grade the discipline to merely an oral reprimand. 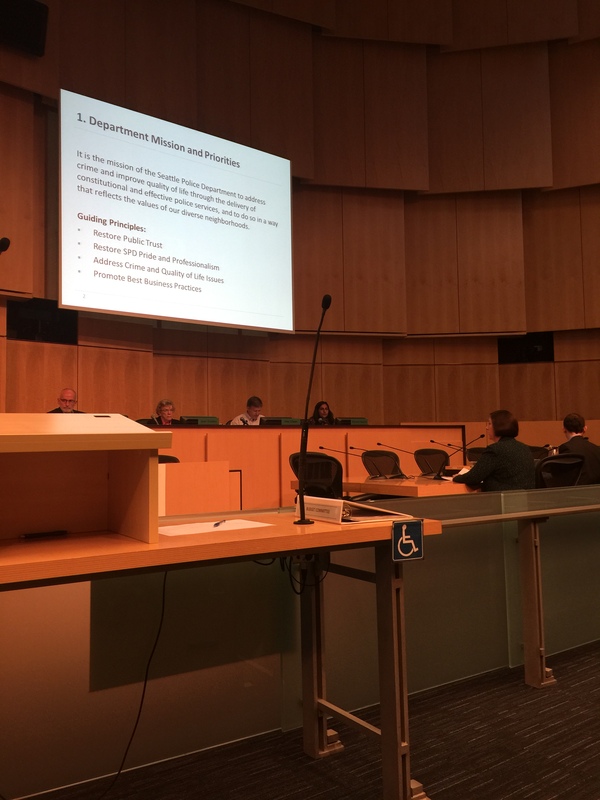 I called a press conference to address this miscarriage of justice and was joined by City Councilmember Kshama Sawant, Councilmember Nick Licata, Black Lives Matter activist Nikkita Oliver, and Social Equality Educators board member Roberta Lindaman. Together we all made the case for real accountability for police — especially since the Seattle police department is under a federal consent decree after an investigation by the Department of Justice found officers routinely used excessive force and evidence of targeting people of color and biased policing. It is the mission of the Seattle Police Department to address crime and improve quality of life through the delivery of constitutional and effective police services, and to do so in a way that reflects the values of our diverse neighborhoods. 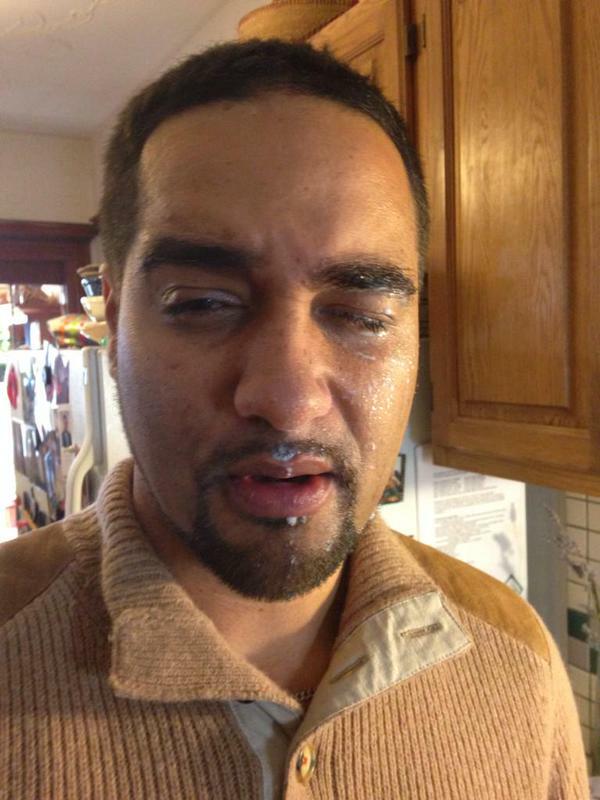 Officer Sandra Delafuente was caught on tape pepper spraying Garfield High School teachers Jesse Hagopian at a Martin Luther King Jr. Day demonstration this year. The Office of Professional Accountability recommended a suspension for Delafuente. Mere weeks after the Whitlach firing, though, O’Toole is under fire for recommending a lighter punishment for Officer Sandy Delafuente who was filmed pepper spraying Garfield High School teacher Jesse Hagopian at a Black Lives Matter demonstration. If youareaneducator, youmightwant to check the spelling in yourtitles a bit better. But only if youareaneducator. Wow, this is very surprising. A one-day suspension is actually very light but to downgrade it to an oral reprimand – I am just speechless!